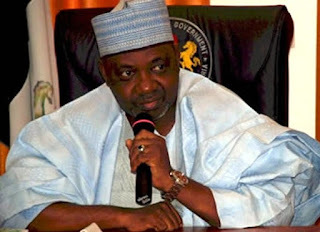 “In the late afternoon of Wednesday, the 28th of June 2017, the Alimi Road, Kaduna un-occupied residence of the former Vice President Arc Mohammed Namadi Sambo was invaded by security operatives armed with a search warrant, who conducted a forensic search of the entire residence. “It is worthy of note to state that no such brazen attempts were made at any point, either at his Link Road Kaduna residence, or his Abuja apartment, which he presently occupy. “As the visit of the operatives was unscheduled, the reasons for the search were not specifically stated. “However, the outcome of the search was made known. At the end of the whole exercise, the officers, who carried out the search were satisfied that nothing incriminating was found. “As a law-abiding citizen, the former Vice-President did not raise any alarm in the previous invasions in view of the fact that he has nothing to hide. “The recent desperation exhibited by some security agencies in carrying out a raid on an unoccupied residence blocking all entry and exit points, in a commando-style and coming along with a bullion van speaks volumes of the clandestine intention of the security operatives. “It is therefore worrisome to note that the consistency with which the searches occurred and the intervals between them portrays a desire of a fault-finding mission. “We are apprehensive that a repeat of such episode will not be surprising if an incriminating object is planted in his residence in order to wilfully and deliberately incriminate him. “It is against this background that we wish to draw the attention of the unsuspecting members of the public to this phenomenon.